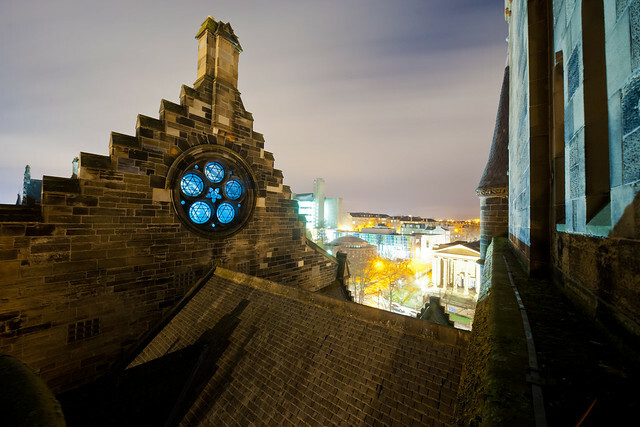 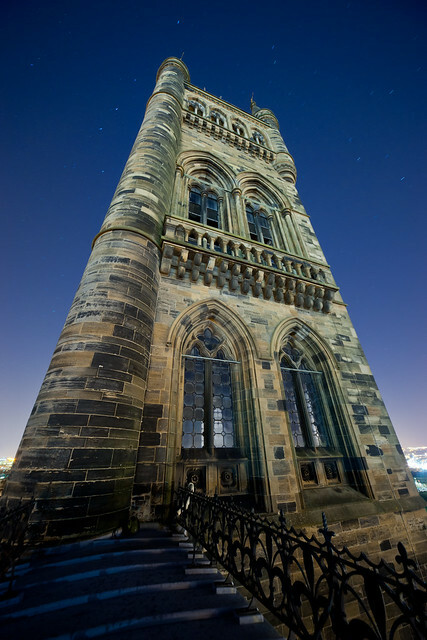 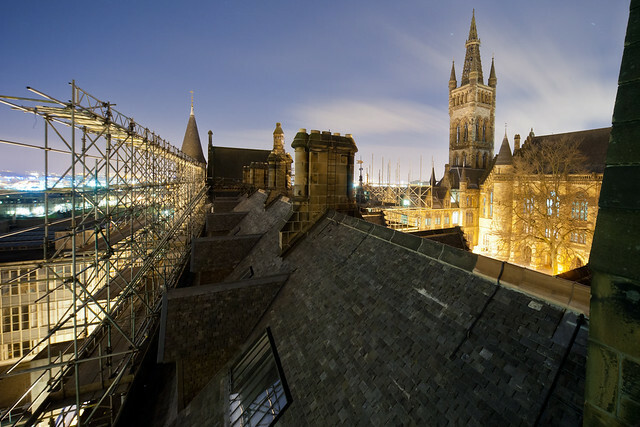 Glasgow University’s imposing Gothic main building stands on a hill in the West End, dominating views from all over the city. 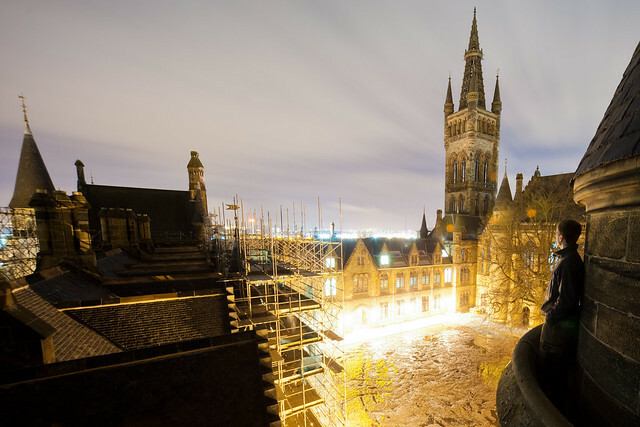 Designed by George Gilbert Scott and opened by Queen Victoria, at the time it was a move to a fresh leafy suburb from the university’s old location in the city centre. 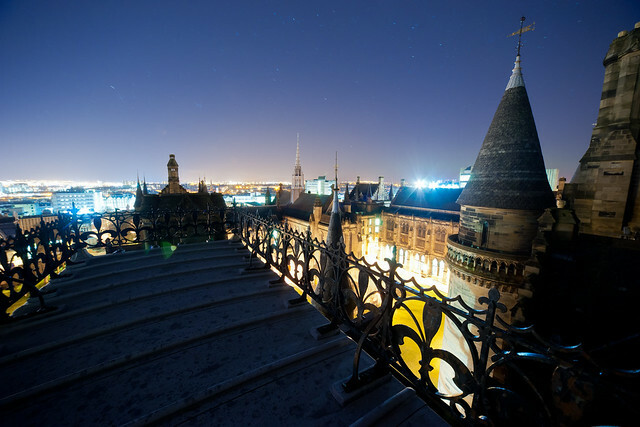 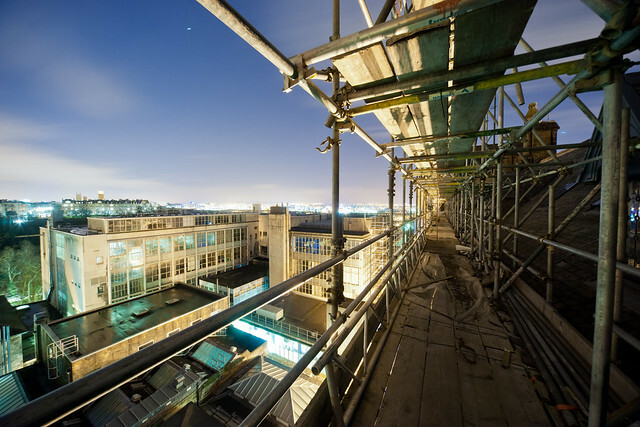 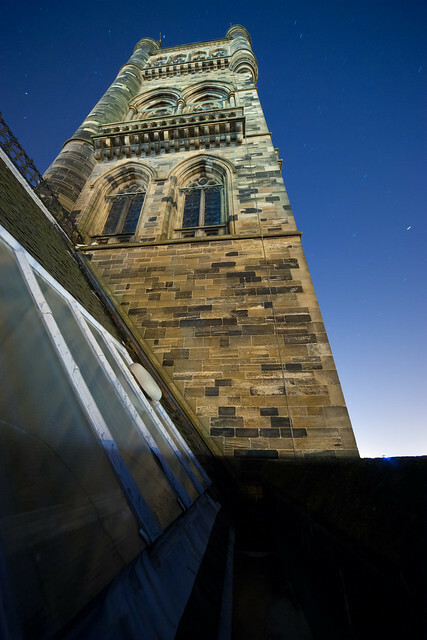 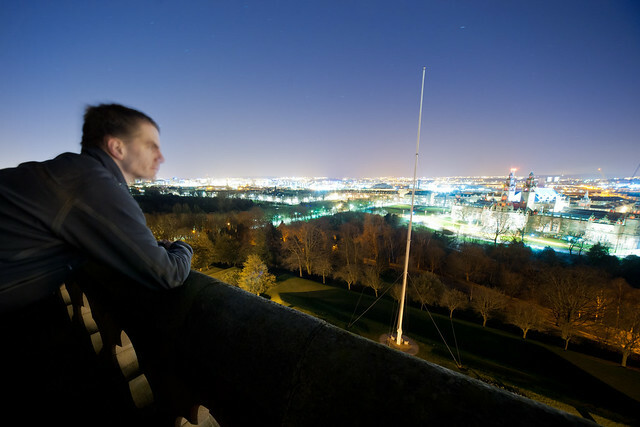 The roofs of the building have always been tempting from the ground, but it was only when I first got up there back in May 2010 that I found out how wonderful they really are. 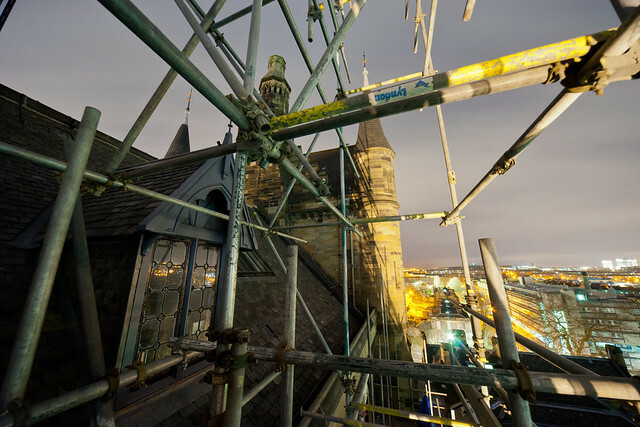 Turrets, little roofs, gables and windows are everywhere, linked by little ladders, hidden walkways and rather unnerving parapets.